After announcing its power induced iPod Touch, Cupertino smartphone giant Apple is currently in talks with mobile standards organization GSMA to introduce electronic SIM cards, or e-SIM for short. Apart from Apple, the company’s biggest rival in the smartphone industry Samsung is also in talks with the same organization. 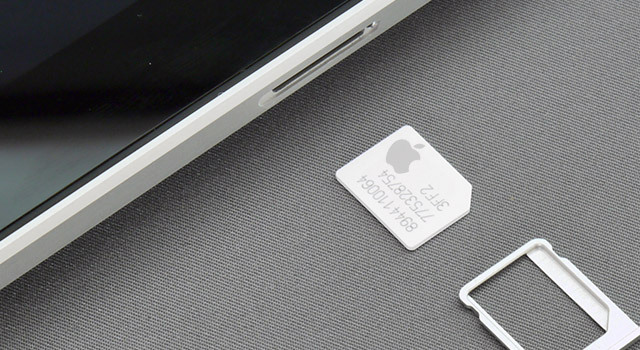 GSMA will most likely be announcing the creation of a standardized embedded SIM card for consumer devices, and if the talks go through to the end, Apple and Samsung will be rolling out their first ever devices to sport an e-SIM. In 2014, Apple decided to take things down a different road by opening up carrier access on some of its products by introducing an Apple SIM card for cellular versions of both of the company’s iPad Air 2 and iPad Mini 3. This flexible option allowed consumers living in the United States to effortlessly switch between carriers as they saw fit. Even though the e-SIM standard has been under consideration for several years, several carriers have protested against it, primarily because they will not be able to milk money off consumers if they continue to switch between carriers. However, it looks like in the future, these companies will have no choice but to comply with revised regulations set by GSMA. Looks like we are going to have to wait for 2016 to start for e-SIM to make its way in to mobile devices.